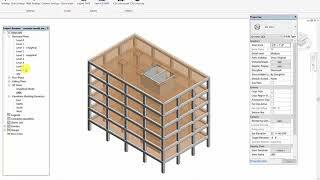 CSI Link is an external application for Autodesk® Revit® that enables users to transfer the analytical models from Revit to CSI SAFE and CSI ETABS for structural analysis. The goal is to eliminate the need for any extra modeling work in the target software meaning once the export file is generated, the structural model from the CSI application will be open and ready to run the analysis. 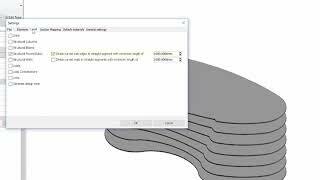 To achieve this goal the CSI Link add-on in Revit must be able to export all required data for structural analysis in addition to the structural model. This information includes Design codes /material specification/load pattern, load cases, and load combinations. Various bugs reported from the previous release were fixed. Exports bracings. Slabs with free form edges are being exported as polygons approximating the original curve. Wall openings are now exported by subdividing the shell element (ETABS only) Pier and Spandrel labels are exported to ETABS Beam/Bracing and Column end-releases are exported to ETABS and SAFE Export Revit boundary conditions Export springs If boundary conditions are not available in the Revit model, CSI Link can generate fixed boundary conditions automatically. Ability to adjust the column location to align with closest slab edges. Model size is limited to 100 nodes.